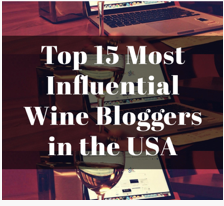 I am a finalist for the 2018 Millésima Wine Blog Awards! Please go HERE and vote for me so that I might win a trip to Bordeaux! 2011 Cornerstone Cellars Pinot Noir Willamette Valley: Retail $40. I have been drinking Cornerstone wines for a few years now, and they are perhaps best known for their bigger reds from Napa Valley. This Pinot, though, comes from the Willamette Valley in Oregon. I have had a few vintages of their Pinot now, and the previous iterations had been impressive. This one? Dark cherry, blackberry, and a hint of cassis on the nose with a bit of heat. On the palate, both thin and slightly stewed, and lacking on the midpalate. Solid, but disappointing. Good to Very Good. 86-88 Points. 2009 Failla Chardonnay Estate Vineyard: Retail $40. I have been a huge fan of Failla for who knows how long. I decided to pop this after the Melville while watching The Force Awakens shortly after returning from The Last Jedi. I decided that a Failla was in order since Ehren Jordan, owner and Winemaker at Failla is a bit of a Jedi Wine Warrior. This straight up gets a Whoa on the nose with luscious lemon curd, vanillin, and goodness. Still great fruit close to a decade out with a bright lemon tartness, vanilla, and toasted oak. Whoa. Outstanding. 92-94 Points. 2013 Grgich Hills Chardonnay, Napa Valley: Retail $40. Like most Grgich Chards that I have had over the years, this is a wonderful wine. It starts with stone fruit (peach) and Bosc pear, both drizzled with rich lemon curd. The oak regimen comes through as well, but it is nicely balanced with the fruit. On the palate, much of the same: nicely balanced with fruit, acid, and oak. I can’t think of many Napa Chardonnay producers that turn out such a consistent wine vintage after vintage. Outstanding. 90-92 Points. 2005 Palmeri Syrah Van Ness Vineyard: Retail $55. Another bottle that I received from my Secret Santa this year (yes, he spoiled me). This is the first vintage from winemaker Kerry Damskey and his then nascent brand, Palmeri. Broodingly dark in the glass with a bit of funk on the nose which persisted even after an hour plus open. The funk was joined by some blackberry, cassis, and Christmas spice. On the palate, surprisingly fresh fruit but also earth and pine. Solid for sure, but drink soon. Outstanding. 90-92 Points. 2007 Sequoia Grove Cabernet Sauvignon: Retail $50. 82% Cabernet Sauvignon, 12% Merlot, 3% Cabernet Franc, & 3% Petit Verdot. A Napa stalwart, this has been on Route 29 for nearly 40 years. Dark and brooding in the glass even a decade out. Blackberry and pine, a dash of sweetness, and the slightest hint of green (a good thing for me). Spicy and rich with dark red fruit and the tannins are close to fully integrated. Not a game changer, but I am glad I waited on this one. Outstanding. 90-92 Points. 2007 Siduri Pinot Noir Clos Pepe Vineyard: Retail $65. Siduri? Big fan. Clos Pepe? Huge fan. This wine? Whoa. Dark cherry and earth dominate the nose with hints of eucalyptus and sage. Whoa. On the palate this is a fruity Pinot lover’s delight: rich fruit, great tartness, and just the right amount of earth. This will never be confused with an Old World Pinot, but holy cow, it’s good. Outstanding. 92-94 Points. WINE OF THE WEEK: We opened several great bottles this week: The Grgich Hills Chard should be considered as one of the standard bearers for California Chardonnay as should the Sequoia Grove for affordable Napa Cabernet (which seems to be coming an oxymoron). Both great bottles, both worthy of the Wine of the Week (WotW) honors. This week, though, it was really the choice between two. Both Failla and Siduri hold special places in my cellar and in my personal journey in wine appreciation. For years, the Failla tasting experience along the Silverado Trail and the Siduri warehouse in Santa Rosa were “must-stops” on every trip to wine country. Over the years, I amassed quite a few bottles from both and I am now reaping the benefits of those purchases. The Siduri had the added benefit of being from Clos Pepe, perhaps my favorite vineyard, and conjured up one of my many trips there. In the end, though, I opted for the 2009 Failla Chardonnay Estate Vineyard as this week’s WotW, in one of the closest votes on record (actually, all of the votes for this “award” have had the same tally: 1-0 since I am the only voter). This entry was posted in Cabernet Franc, Cabernet Sauvignon, Chardonnay, Merlot, Petit Verdot, Pinot Noir, Syrah. Bookmark the permalink.